Buildings, like people, are never too old to learn. At 70 years young, the recently renovated Arthur H. Anderson Hall on the campus of Gustavus Adolphus College has been renewed as a leading-edge learning environment, earning high marks not only for Best Practices in higher education adaptive reuse, but sustainability. The facility was awarded LEED Gold certification from the U.S. Green Building Council (USGBC) earlier this year. Located on the college’s main academic mall, the 27,465 s.f., historic Kasota-stone building opened in 1948 and originally served as the Gustavus library. It was renamed A.H. Anderson Hall in 1973 and became the home of the social sciences until 2011, when that department moved into the newly-completed Beck Acacemic Hall. The renovated Anderson Hall today houses the college’s Department of Education K-12 Teaching Program, Academic Support Center and Writing Center, John S. Kendall Center for Engaged Learning and Bonnier Multifaith Center. The three-story atrium provides a variety of collaboration opportunities. Renovation of the 70-year old academic center was designed by BWBR Architects and constructed by Kraus-Anderson, providing spaces for education, advising and faith exploration, as well as a three-story open gathering space to encourage collaboration and group work for students and faculty. To earn the prestigious LEED Gold award, buildings must demonstrate performance standards that include sustainable site developments, water savings, waste management, energy efficiency, materials selection and indoor environmental quality. 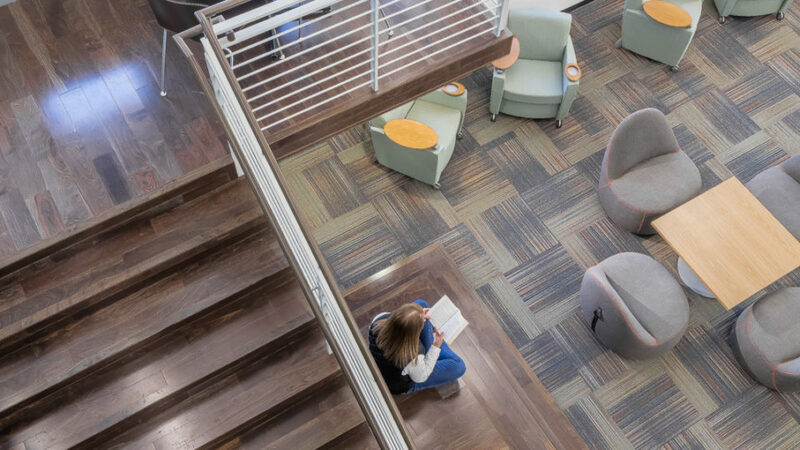 Some of the strategies used to earn Anderson Hall’s LEED status feature selecting low-emitting materials, implementing green cleaning and equipment policies, and achieving energy cost savings of nearly 40 percent below baseline. 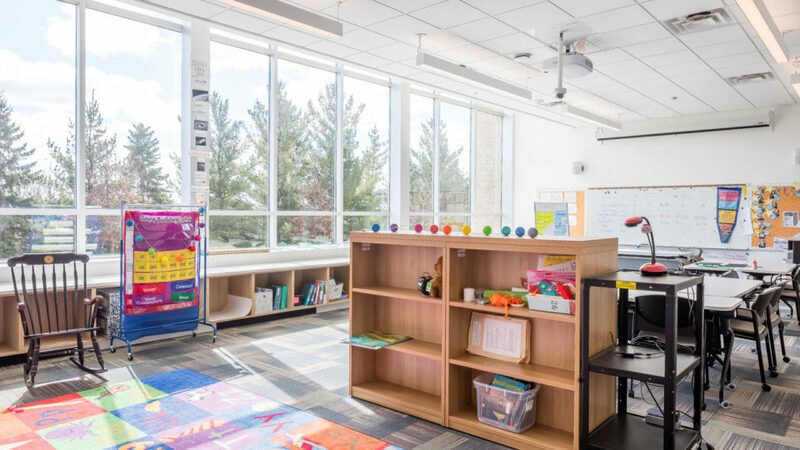 The multifaith center includes low-flow water fixtures, as well as daylighting strategies to enhance education practices and building performance without sacrificing privacy. The building structure was 91 percent reused, including much of the original Mankato-based limestone, and over 95 percent of the construction waste was recycled. In addition, the project featured new boilers, which replaced Anderson Hall’s original heating system that was previously connected to a campus-wide steam system that runs through tunnels. Renovation preserves the original Kasota stone exterior of Anderson Hall. A natural connection to the community and close to public transit, the walkable site is covered with drought-resistant native plants. 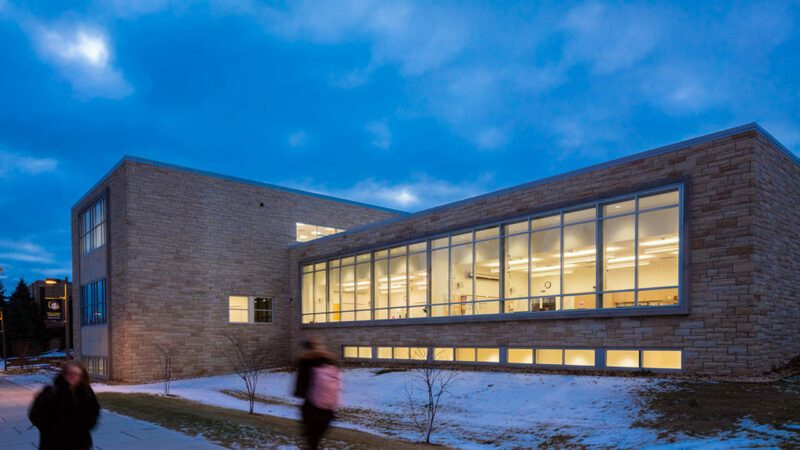 Kraus-Anderson’s partnership with Gustavus stretches over 40 years and includes the campus reconstruction after the 1998 tornado and recent projects such as Beck Academic Hall- also designed by BWBR- which received LEED Platinum certification. In January 2018, KA began construction on the 177,300-s.f. expansion to Nobel Hall of Science, which is expected to be completed in 2020.